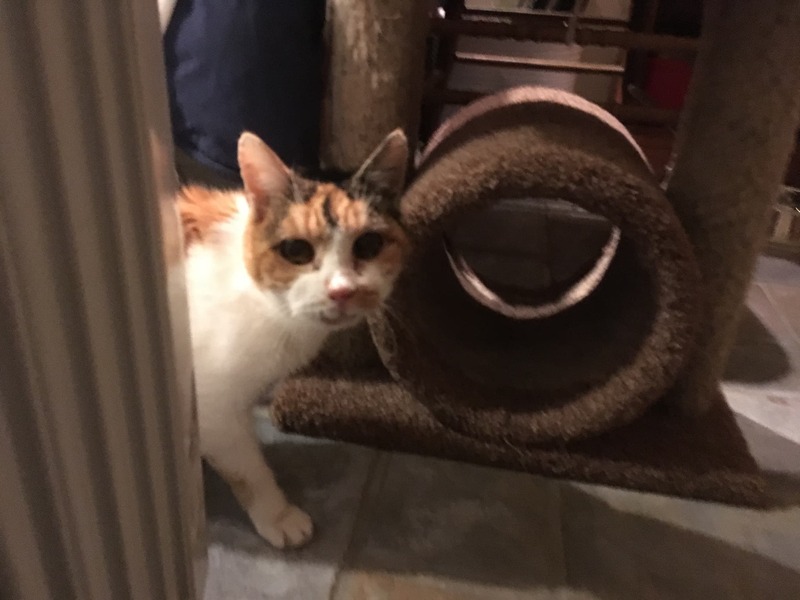 Patches is a lovely old calico girl who had been living in a feral colony off a major highway in Middlesex County. 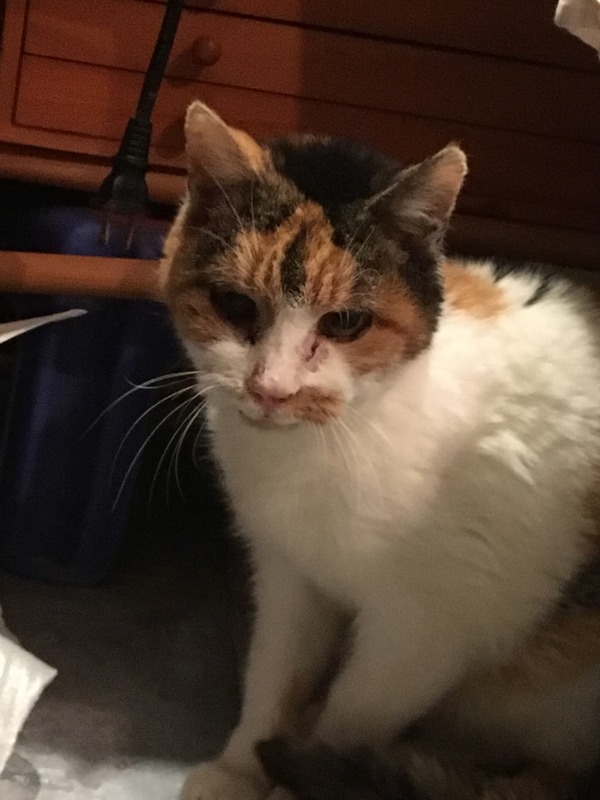 She was rapidly losing weight and needed to see a vet. She was trapped and examined by the vet. 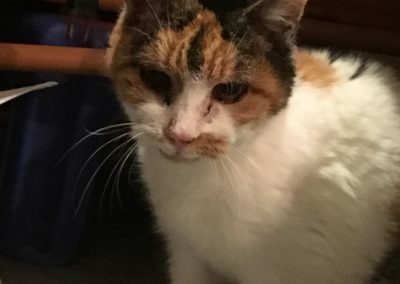 She has only three teeth in her mouth so it was hard to estimate her age, but the vet thought she was at least 10 years old. She had blood and other diagnostic work done, which showed he was hyperthyroid. She was put on medication and is now stable. She is being fostered with one of our volunteers. 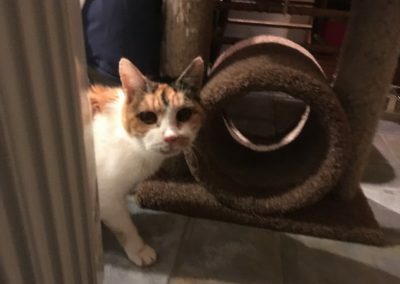 She is warm and loved and has come around to being a very sweet cat.